We love our cloud storage, and we use Dropbox or OneDrive for almost all our cloud storage needs. Both these have a problem however, they’ve got a hankering for system memory and if left unattended, can bring even the beefiest systems to their knees. Let us paint you a scenario. We have a brand new PC decked out with a fast Intel CPU, the latest graphics card, and most importantly, 16 GB of RAM. By all accounts, it should be able to handle almost anything we throw at it: compression, rendering, and of course, games. Over the course of time we’ve accumulated a considerable amount of stuff, be it music, television shows, movies, and on and on. All these files are stored on hard drives, which if synced with the cloud would mean that we not only have all this stuff backed up, but any changes we make, files added or moved, will be then mirrored on the cloud. Simple enough, this is how cloud storage works, but here we’re taking it to its logical extreme: if we have a terabyte of cloud storage, and we have a terabyte of local archive storage, there’s no reason not to devote that drive as our local cloud backup. Dropbox stores metadata on your files in RAM to prevent constant and expensive database lookups while syncing. The metadata includes paths to files in your Dropbox, checksums, modification times, etc. Basically, what this means is that if you have a large Dropbox (or OneDrive) with tens or hundreds of gigs of files, then as Dropbox syncs all those files to your local drive, it will cache information about each and every file to system memory. Let’s show you what we mean. Here’s our system after a restart. Here’s our system just a few hours later. Eventually, in use RAM on our system will increase until 99 percent (15.8 GB) is used, which renders it useless. At this point, even restarting the computer is difficult. Our mouse pointer is significantly delayed, and mouse clicks won’t immediately register (if at all). Often the easiest and quickest fix is to do a hard restart, either by holding down the power button until the computer shuts off or using the reset button, if you have one. Obviously this is a terrible solution especially if you’re worried about losing work, so really the only way to prevent it is to try to reboot it gracefully, or do so at regular intervals so it remains usable. 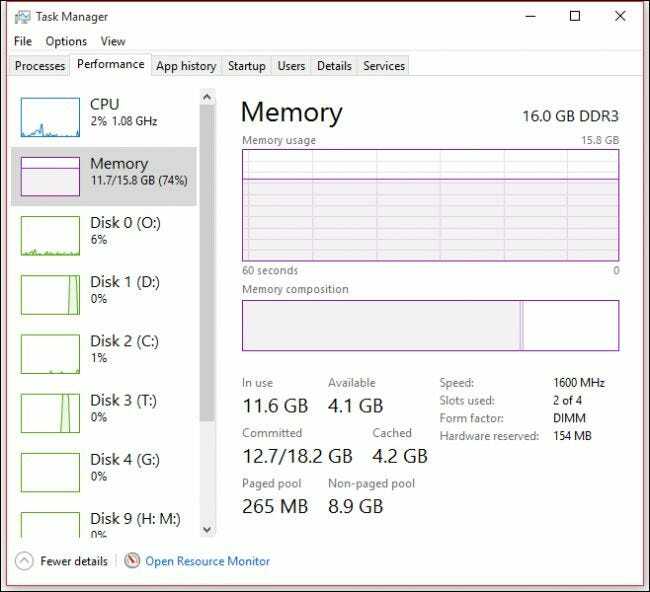 If you suspend your cloud service and leave your computer alone for a time, your RAM should eventually be freed allowing you to use it again, but this won’t happen instantly and thus, isn’t going to work for people who need to use their computers right now. In any case, to maintain a 1:1 copy of your cloud drive locally, you will have to first deal with lengthy uploads (assuming you’re not a super fast fiber connection) where you initially upload your data. 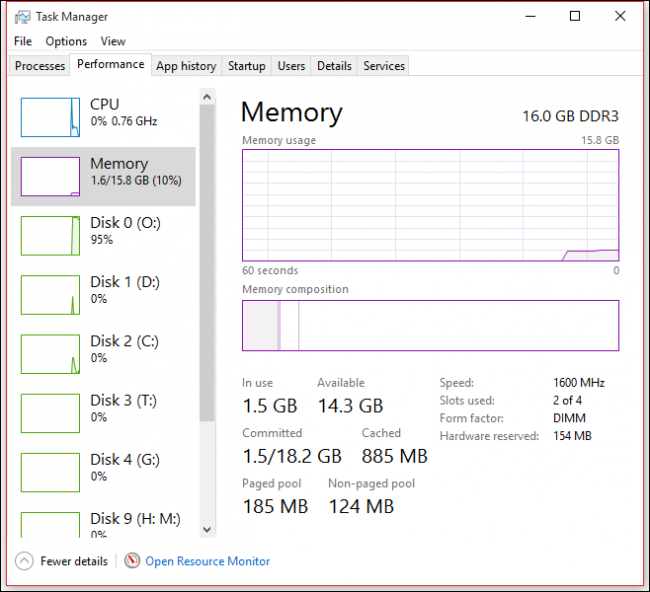 Thereafter, if your old local cloud drive crashes or you decide to create a new one, then you could simply make a copy of it, or allow all that data to re-download, which as we said will decimate your system RAM over time. There doesn’t appear to be a simple solution to this other than regular restarts. If you leave your computer on all night and let it download your cloud drive’s contents, you will most likely return to an unresponsive system in the morning. If you want to work during the day while your cloud drive syncs to its local drive, over time it will become more and more bogged down. The fact is, there’s no truly elegant solution to freeing up RAM. As we’ve pointed out previously, memory optimizers are pretty useless, so we don’t recommend any. That means you’re simply left to deal with this problem where the only real, practical solution is to either suspend your cloud service and let things return to normal, or reboot and start fresh. That said, perhaps you have a solution we haven’t thought about. We’d like to hear from you about this problem. Please sound off in our discussion forum and leave us your feedback.